Bethesda has made some amazing open worlds in the past, with massive maps just begging to be explored, and hopefully Fallout 76 is no different. 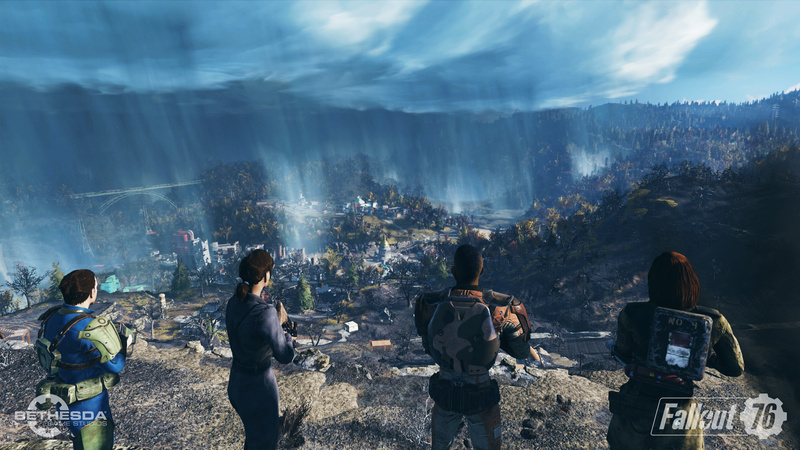 Its post-apocalyptic West Virginia may not have the towns and settlements of single player Fallout titles, but this is still the developer's biggest ever world. We suppose that it has to be, given the amount of players inhabiting it. Anyway, you can find the full map below. Bethesda previously stated that West Virginia is around four times the size of Fallout 4's Boston, and that was already pretty big. Will it be as densely packed with stuff to find and do as Boston, though? We'll have to wait and see. Bigger isn't always better. Just ask my missus. I don't have a clue. I'd rather have another single player Fallout, Fallout 4 was disappointing to me really, it was alright but I prefer 3 and New Vegas far more. This is going to be buggier than the tunnel that leads to the Temple of Doom. A map this size and only beasts and other humans ... Could be a problem after a while. played the Conan Exiles game, which for the type of game it was, was okay, but it soon got boring quickly.. I hope it does well, as i enjoy the series, but i'm, loathed to touch this when RDR2 is on the cards.. I'm interested to see how they are going to handle post-launch content support, dlc, expansions, live-service or whatever the heck we call it these days. Any news on this? Companies seem to crow about this to the nth degree these days but not heard anything for this game. This game is sounding worse and worse. 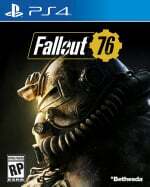 I was excited at the idea of a co op fallout game.... but its starting to not have those things that helped fallout be amazing. Npc and towns with them there was one of those things. What's the point of a mmo style game.... just to feel lonely? What kind of person would buy this rubbish, lol. Ehhh, big maps are nice sure, but if it's going to be a big, empty wasteland then why have it big at all? Bigger maps = more tedium and boredom most of the time. They can make bigger maps for a game that no one wants yet can't for the actual single player versions of it. If this was Fallout 5 it would be awesome but it's not so it won't be. 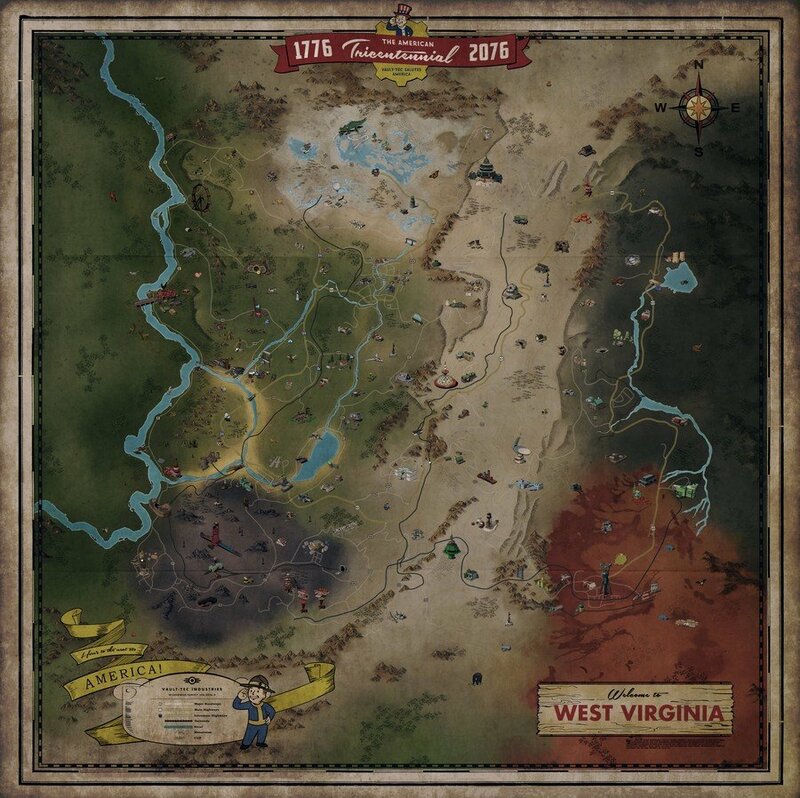 @get2sammyb “Its post-apocalyptic West Virginia may not have the towns and settlements of single player Fallout titles, but this is still the developer's biggest ever world” So basically it’s the biggest ever Fallout map but also the most barren? I’ve already made my mind up about whether to get this game or not when it was announced it was going to be an always online game, it’s not for me I’d rather it was the traditional single-player experience. So that means 4 times the empty space? Thank God, you could run from one corner to the diagonally opposite corner of Boston in about 7 minutes. I hope this falls flat... see what I did there... I'll see myself out. Looks like a pretty bland experience to be honest.